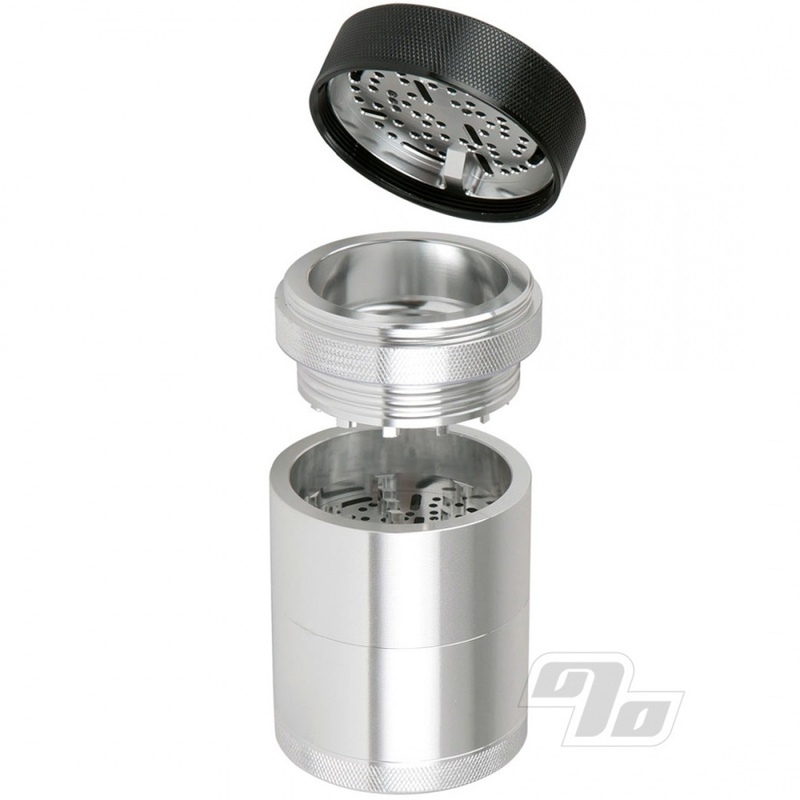 The GR8TR Grinder from Kannastor is great! The GR8TR interchangeable grinder plates make this a grinder with the ability to customize the consistency of your herbs. Whether your preference is vapes, glass, rolling or all of the above, the GR8TR has the grind you're looking for. 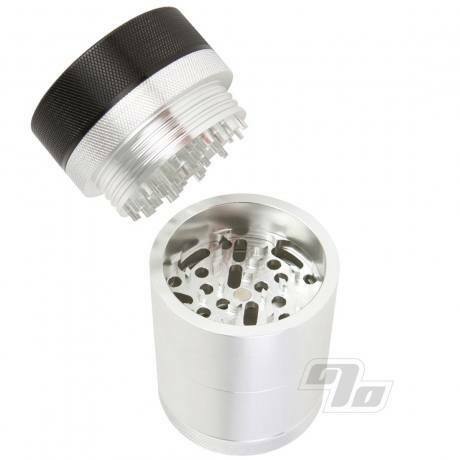 Innovative design takes it to the next level when compared to traditional style grinders. Effortless grinding action with stronger "Micro-teeth" that shred from the top and the bottom while simultaneously gently pressing through grinds. The new design requires less strength to complete your grind, so great for users with medical conditions as well as the laziest among us. Micro-teeth also make it easy to remove loose bits without digging and tools. Patent Pending Easy Change Screen was incorporated into the GR8TR revolutionary design to allow for even more versatility and options. Kannastör is still the only grinder that has the easy change screen. Now with four mesh styles available to customize your sifting too! The new GR8TR design is all about storage. In addition to the drop down storage for your ground herbs there's storage for a second GR8TR plate as well as added storage inside the grinder top. The latter can be used for either course or finished grounds or keeping it fresh for a future sesh. 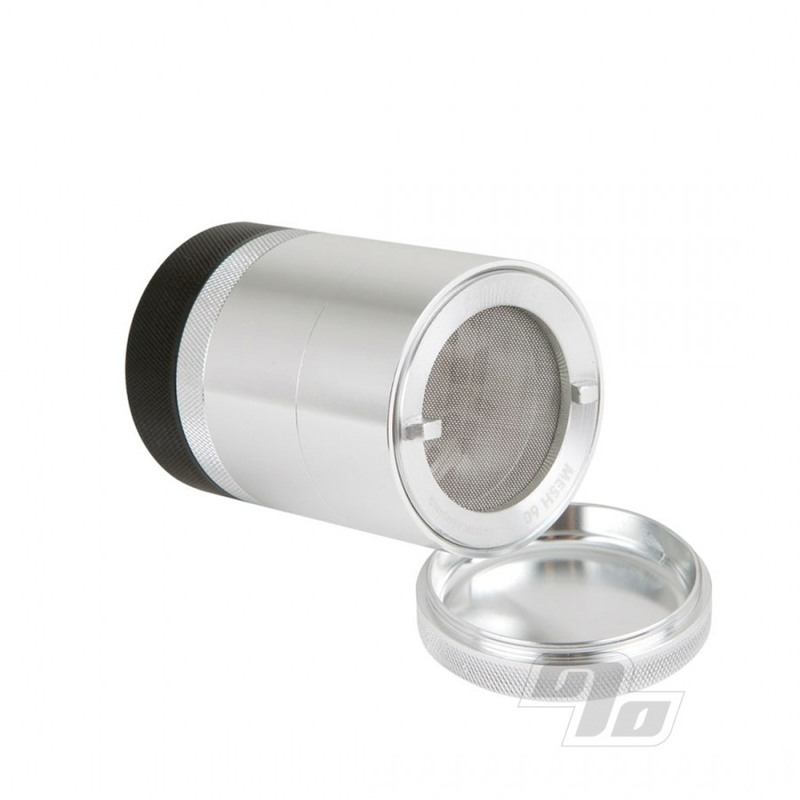 Now you can grind, sift and store more then just one blend and/or style of grind. Each GR8TR has been designed with "on the go" in mind. 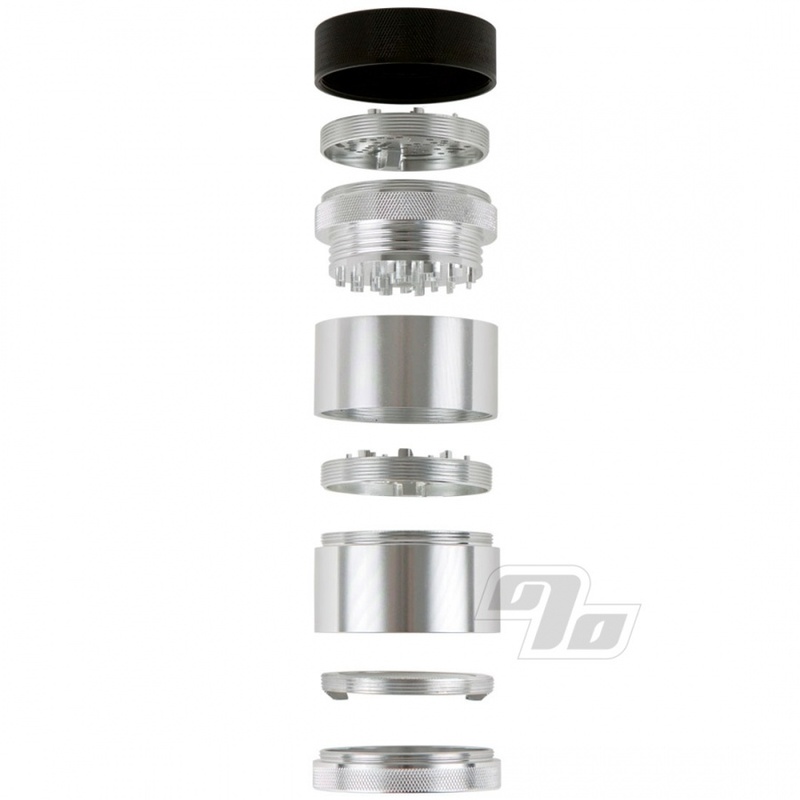 The lid and base can easily be combined to create a pocket sized storage "puck". Grind at home then take your herbs anywhere with ease. The key to an effortless grind, the friction / residue rings on the GR8TR grinder create an "Air Ride" by reducing the friction created between the exterior wall of the press and inner wall of the grinding chamber. Not only do the packets of air make for an easier grind, the rings also act as a residue collector so that the 50th grind is just like the first. Minimal maintenance and cleaning. Made from 60/61 hardened aluminum, which is then bathed and anodized before being inspected by hand. All Kannastör grinders include a limited lifetime warranty against manufacturer defects, any malfunctions resulting from poor workmanship or normal use.